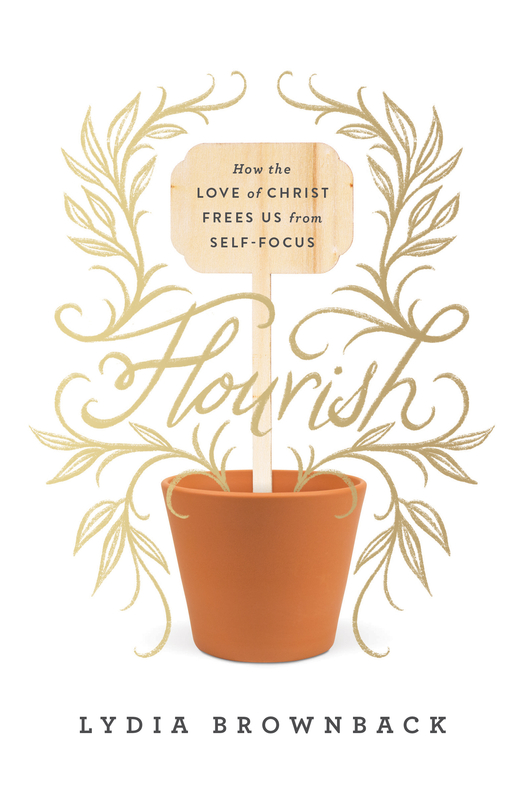 Lydia Brownback has a new book titled Flourish: How the Love of Christ Frees Us from Self-Focus. I’m really thankful to have received a free copy from Crossway through NetGalley in exchange for an honest review. Synopsis: All women are looking to live a life that will satisfy their deepest longings. Worldly thinking offers false hope found in self-focused saviors such as acceptance from others, a checklist for better living, emotional fulfillment, comfort, accomplishments, and more—some of which has crept into the church. Featuring 6 chapters aiming to free women from self-consciousness, self-improvement, self-analysis, self-indulgence, self-condemnation, and self-victimization, this book will help readers discern subtle false messages from the truth in God’s Word—exchanging a self-focused life for the abundant life Jesus promises them in the gospel. Flourish is a short book and includes a 30 day study guide that can be done with a group, or independently. This book is theologically solid, grounded in scripture, and is deep, yet easy to read. It’s also very convicting. Throughout the book, the Christian is reminded that we’re called to die to self and give our life fully to God. We are not called to “improve” our lives to make ourselves feel good, impress others, or to live our “best life now”. We weren’t saved to maximize our personal potential and be loved by the world. We were saved to glorify our Lord and Savior. It’s important to remember that being united in Christ makes us act and look more like Him, and as a result we should be hated by the world (Matthew 16:24-26). Brownback asks important questions throughout the book to make the reader examine herself… Do you define yourself by what others think of you? Do you define yourself by your emotions, or what you went through? Do you believe Jesus died so you could live a happy, carefree life? Are you pursuing personal change to enrich your walk with God and let your light shine better, or because you’re dissatisfied in yourself? When you look at the Christian books you own, are they about making yourself a better person? Or are they about knowing Christ, growing and resting in Him? One of my favorite parts was when Brownback took a popular author and corrected her bad theology with what Scripture says. Honestly, I could read an entire book that corrects false teachings.